This website is dedicated to maintaining our constitutional rights and restoring the integrity of our United States Republic. The WE THE PEOPLE movement is widely recognized on social media platforms where it originated as a Facebook Page. 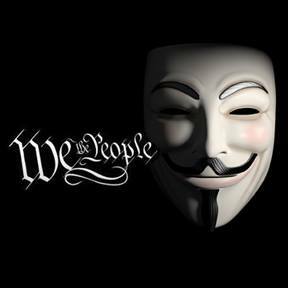 Nate James combined the Guy Fawkes Anonymous Movement and The Constitutional “We The People” in 2013. Our mission is to awake the masses of people to the corruption that has hijacked our liberty. This website is created to return power back to WE THE PEOPLE by making this site a reliable source of information produced by independent journalists and concerned citizens. Please bookmark our site and join the fight! WE ARE THE RESISTANCE!